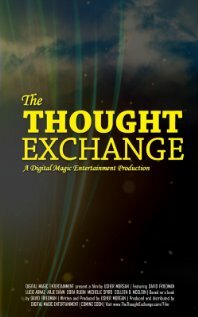 SFMS was recently presented with a screener of a new independent, self help style film called The Thought Exchange. While the movie is much in the same realm as another film of this type, The Secret, the film is much lighter and doesn't feel like it's twisting your arm. Instead, it presents the viewer with a chance to alter their mode of thinking and the process in which you define your thoughts. The film definitely has an agenda of positivity that is presented in a simple to understand manner. Unlike The Secret, The Thought Exchange is not relayed in a heavy handed manner. It's rather uplifting and presented lightly with a dynamic use of ethereal music. Throughout the film, I never felt like I was being convinced of anything. I truly felt that the people in the piece believed and actually followed the methodology of The Thought Exchange. While I've never been a big follower of self help type films, I actually enjoyed this one and could easily understand the message of positivity and altered mindset that the producers are trying to relay. Sometimes it's nice to step away from the larger scale movies and watch something of a completely different nature. I wasn't sure I'd enjoy this, but I did.